If you’re looking for highly custom monthly beer subscriptions, this is the company to go with. Microbrewed Beer of the Month Club offers beer box subscriptions for a ton of different beer styles. But even if you do like all beer styles and want added variety to your repertoire, this is still a great option due to their selection. Microbrewed Beer of the Month Club is a family-owned business that started out in 1994 shipping standard domestic microbrews. Since then, the company transformed – along with the craft beer industry – to offer five different monthly beer club subscriptions from hoppy beers to international. Their prices also remain incredibly competitive for the industry, although not quite as cheap as Craft Beer Club. Perhaps one of the most important aspects of their business isn’t just selection and price, but quality. A strong focus is put on freshness – for example, they ship beers with higher hop acidity and higher ABVs in the warmer months because they withstand the shipping conditions better. 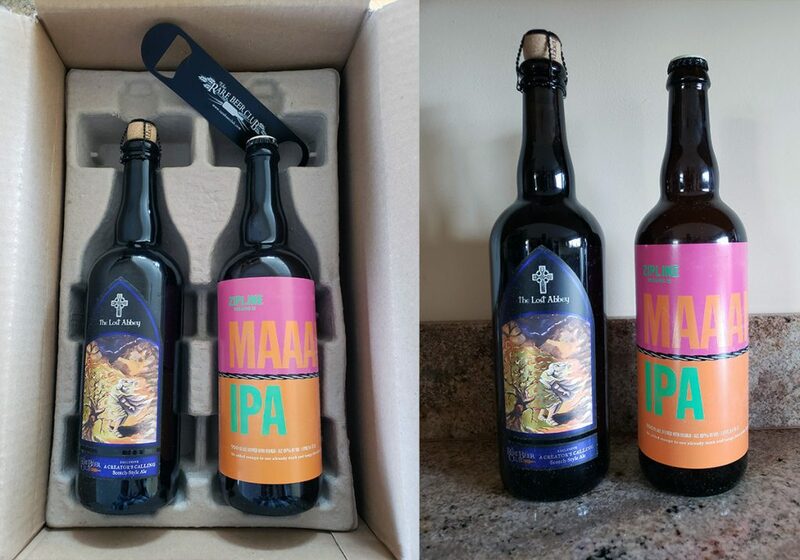 Bottles arrive safely in this unique packaging design. The company’s strong focus on quality and selection is the reason we rank them as the best monthly beer club. But before you sign up, let’s take a deeper look into our Microbrewed Beer of the Month Club review including unboxing our first order. Microbrewed Beer of the Month Club offers unparalleled customization and selections, allowing you to get exactly the style you’re after. 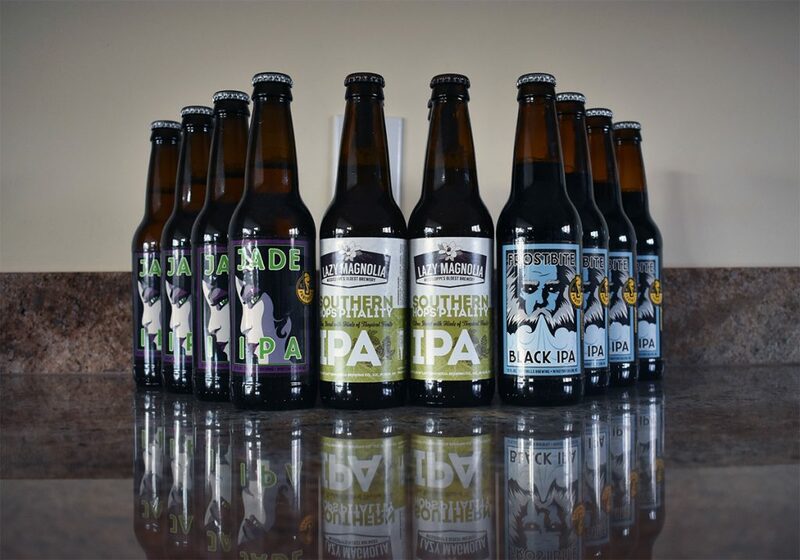 All of their memberships include 12 beers per month EXCEPT for the Rare Beer Club – this is either 2, 4, or 6 bottles, depending on your selection. Let’s look at each membership in more detail to understand what you get and how much it costs. The Hop-Heads Beer Club includes 3 different hoppy beers such as IPAs, Double IPAs, Imperial IPLs, Sessional IPLs, hoppy Pale and Red Ales. In most cases, they include 2 different breweries per month but sometimes you will find 3 in one box. The U.S. Microbrewed Beer Club is their cheapest offering and the original club that started it all. You’ll get four different beer styles each month, three of each style. Seasonal styles are common such as summer ales, winter warmers, and Oktoberfest lagers. The Rare Beer Club offers limited release and… you guessed it… rare beers from some awesome breweries such as De Molen, Mikkeller, Lost Abbey, Jester King, Fantôme, The Bruery, and a ton more. But signing up for a club where each bottle costs around $25 is tough for many people without knowing what they are getting. With this in mind, they began offering a Personalized Shipment Program which lets you get an inside sneak peak at the upcoming months’ offerings. If you like what you see, you can order more of a specific bottle and less of another. Similarly, if you’re not interested in them this go around, you can pass until the next month. This is the exact business model of Tavour, which we loved the selection and ability to pick and choose in our review but the price is crazy. Similar to the US club, the US/International option gives 4 different styles of beer but the number of different breweries each month increases from 2 to 3+. The International Beer Club is their least popular offering, but is great for those travelers who had a taste of fresh German beer and want it again! With this option, you will only receive two styles of beer. Overall, signing up for the monthly beer club service is very straight forward. The toughest part is picking which club you want to join! The website has you click through a bunch of different “sign up now” type buttons before you actually get to the checkout page, but once you do get to the final checkout screen there’s tons of options to customize your delivery. For example, in addition to selecting exactly how many deliveries you want and when you want the first delivery, you can select monthly, bi-monthly, and quarterly. In addition, you have the option to pay for the full plan in advance or go month-to-month. 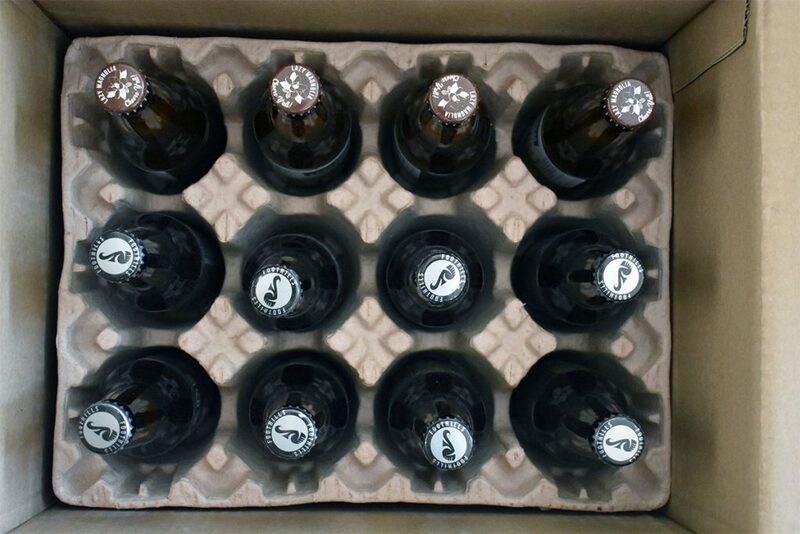 My first order arrived unscathed thanks to the unique packaging materials that holds each bottle in place. 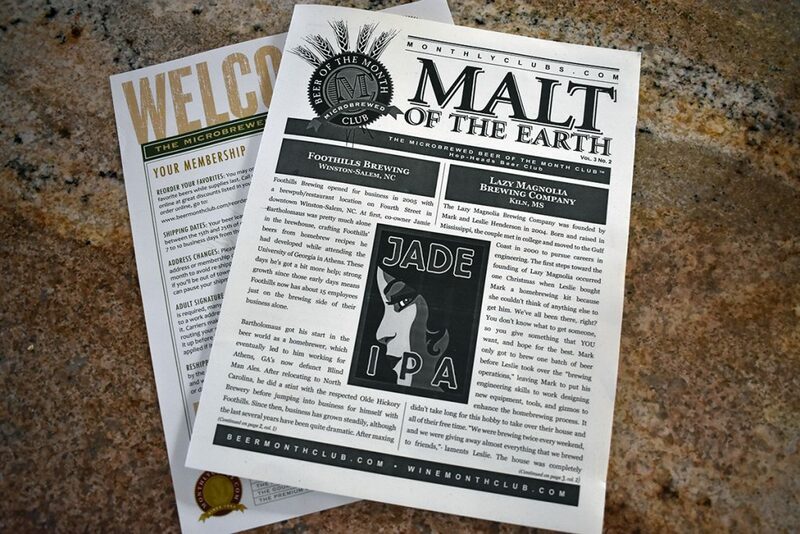 Apart from the beer, you will find a few paper materials, one of which is a mini magazine/comic book/pamphlet that gives the story behind each beer in your order. It’s a great way to connect to the brewery and get the background on what you’re about to enjoy. 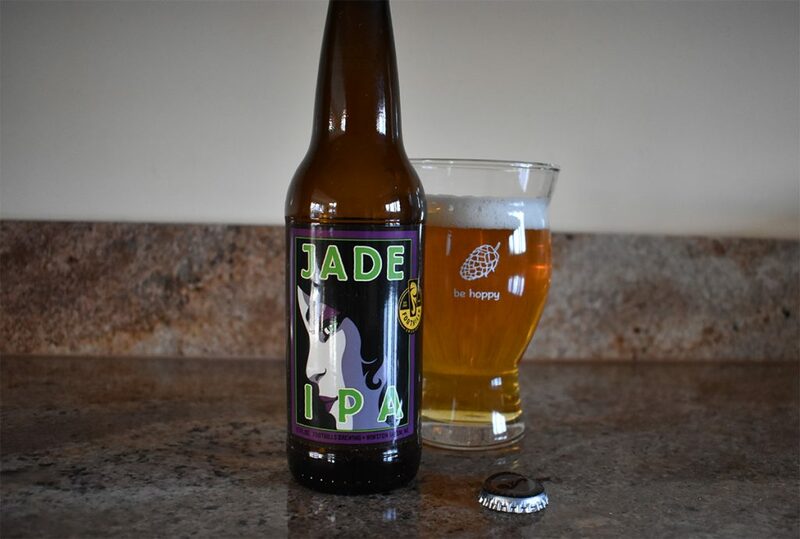 My favorite was definitely the Jade IPA. In the sea of the ever-popular hazy, juicy, dank New England IPAs, it’s nice to fall back on a classic tasting IPA loaded with the perfect balance of pine and citrus. I should’ve used a standard 12oz bottle for scale. Just in case you’re unaware, these are big ol’ 750ml bottles which is a main factor of the higher cost for this club. However, for only being 8%, I thought the mango IPA cost quite a bit. With that said, it was an EXCELLENT beer. And The Lost Abbey is an immensely popular brewery I’ll always be happy to get my hands on. Overall, The Rare Beer club offers much more excitement than their other boxes. Plus, you get a sweet bottle opener for signing up! To recap, The Microbrewed Beer of the Month Club landed at the top of our rankings, making it our most preferred beer of the month subscription services. 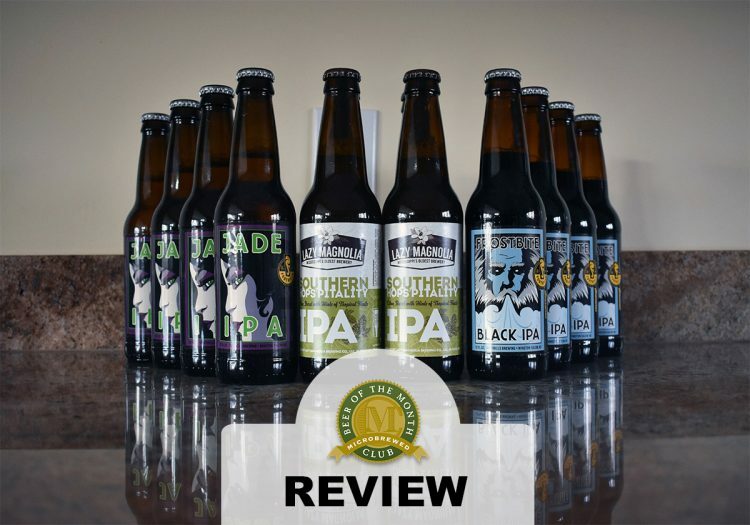 The Original Craft Beer Club gives great selection at a great price, but customization is limited with its one and only offering; and Tavour has absolutely incredible selection, but at a price that will leave you sleeping in your car. Microbrewed Beer of the Month Club is the perfect medium, offering awesome selections through custom packages, solid pricing, and great customer service. They without a doubt have something for everyone. I’ll be sticking with the Hop Heads + Rare Beer Clubs.